Why join the Rotary Club of Salem? Our Rotary Club has a storied history dating back to its founding in 1949. 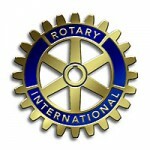 With over 130 members, we are one of the largest clubs in Rotary International District 7570. But it’s not our size that makes us so successful; it’s our commitment to serving those in our community and around the world. What is truly special about Rotary and more specifically about the Rotary Club of Salem, is that lasting friendships are forged while we are out there trying to make our world a better place. We are always looking for new members who share the same desire to help others. Please check out our site to see if we do anything that you care about with a passion. Please feel free to contact us for more information.